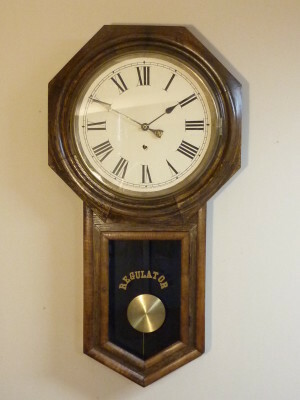 This is an Ansonia Regulator Wall Clock, circa 1920. 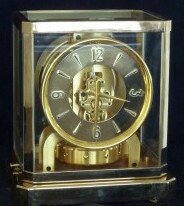 A single spring driven clock that tells the time only, there are no chimes or gongs. This clock was a victim of the September 2013 floods in Boulder, CO and surrounding area. I completely restored this clock, case and all. Originally there was an Ansonia logo on the glass door, but that was broken and replaced with a new glass and a decal.